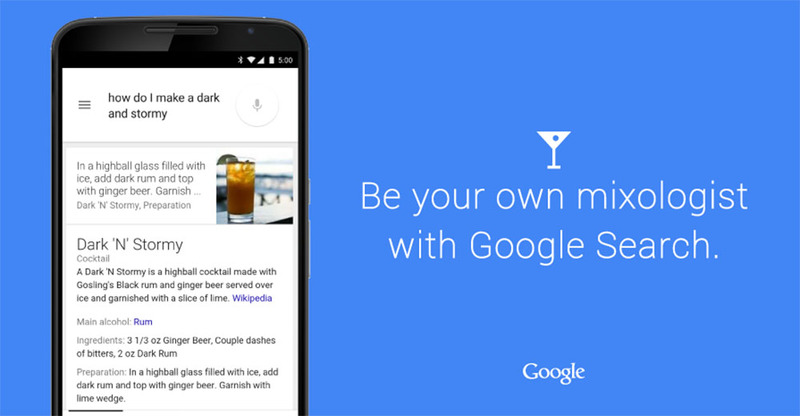 Thanks to Google, you no longer have to have the mind of a mixologist in order to be able to whip up a cocktail on the fly. Through Google Search results on mobile, you can ask Google how to make your cocktail of choice and the results will give you everything you need, from the ingredients and their measurements, to if it should be stirred or shaken or which type of glassware you should use. How complete is your life now?